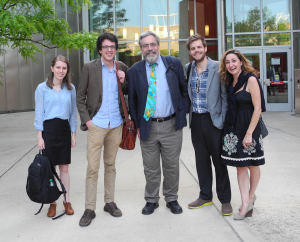 In preparation for 2016, the Princeton Trustees of the Research Group on Manuscript issued the new Appeal Letter rounding out the year of 2015, Research Group Trustees describe our Appeal, its progress, and the preparations for the future. This letter, signed by the Princeton Trustees of the Research Group on Manuscript [and Other] Evidence, describes the achievements of 2015, reports plans for 2016 and beyond, and encourages your help through donations in funds and in kind for the mission and activities of our nonprofit educational corporation, which depends upon voluntary contributions for its existence and continuation. The downloadable Donation Form and the Contributions & Donations page on this site offer convenient ways to express your support, whether in funds, expertise, materials, resources, and advice. We look forward to hearing from you. Three Leaves from a Latin Religous Pocket Handbook. The small-format leaves are non-continuous, with parts of 3 different texts, including Vulgate Psalm 77 (78 in the King James Version) and the ‘Treatise on the Conception of the Virgin’ by the Anglo-Saxon author Eadmer. 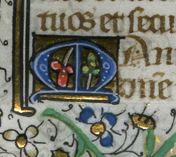 A Part-Leaf from the Life of Saint Blaise. A reused vellum fragment covering an 18th-century French paper notebook contains part of the Passio Sancti Blaisii from a 12th-century lectionary in double columns. A Leaf from the Office of the Dead. A detached leaf from a late 15th-century Book of Hours made in Flanders carries part of the Office of the Dead. Given the subject of the text, we reflect wistfully on the passing of some friends, colleagues, and others dear to us. The occasion prompts us to offer a personal recollection of Jennifer O’Reilly (1943–2016). And More: See the convenient Contents List for the Blog! 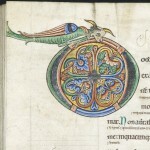 The Blog reports and illustrates manuscripts, fragments, documents, and other materials. Its Contents List provides a guide to the subjects of the posts. With a change of direction at Medieval Institute Publications, the distribution of our largest co-publication to date, the 2-volume Illustrated Catalogue of Insular, Anglo-Saxon, and Early Anglo-Norman Manuscript Art at Corpus Christi College, Cambridge, has been transferred to the Research Group on Manuscript Evidence. This development gives the opportunity to issue a Promotional Offer for the set, as described here: Orders. The original price for the 2-volume was $300 (plus shipping). With fewer overheads, we offer it for $97 (plus shipping). The new Offer may readily bring the volumes set within your reach, or that of a library near you. We held a Symposium on Friday & Saturday, 25 & 26 March 2016, at Princeton University. 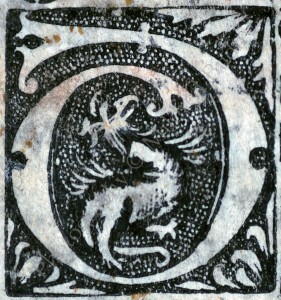 The subject concerned “Words & Deeds” in various forms. The span welcomed a range of dates, languages, regions, materials, activities, and interactions. We thank our Hosts, Sponsors, and Contributors who give room, shape, and refreshment to the event. We also give thanks for the Abstracts, images, and design of the Program Booklet, which records the aims and scope of the proceedings. (You may find the Booklet here.) It was one of our very best events yet! As customary, the Research Group on Manuscript Evidence plans a set of 4 Sessions, both Sponsored and Co-Sponsored, at the International Congress on Medieval Studies at Western Michigan University in May. When the Congress Committee announces the full Schedule of the Congress, with assigned rooms and times, we will update the announcement with those details. [Update: This is now done: 2016 Congress Program.] In time, as customary, we plan to post the Abstracts for Papers, as their authors may wish. And then a Report. We announce the Call for Papers for a Special Session on Border States: Marginalia in North American Manuscripts and Incunables organized by Justin Hastings (Department of English, Loyola University College, Chicago) at the Conference of the Midwest Modern Language Association (M-MLA), to be held 10-13 November 2016 at St. Louis, Missouri. 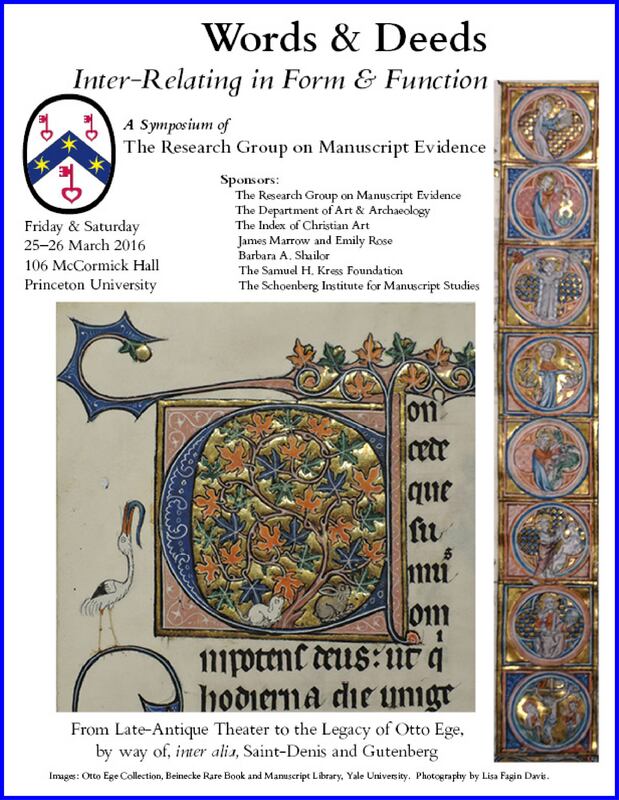 The Research Group on Manuscript Evidence, in keeping with the M-MLA conference’s theme of “Border States,” will sponsoring 2 panels on marginalia in manuscripts and incunables now in libraries and collections within North America. The responses to the Call for Papers (announced here), inviting all approaches, including textual, art historical, codicological, and paleographical, led to 2 sponsored panels instead of the 1 at first accepted for the conference. Details on our website: Marginalia in Books for 2016 M-MLA. Following the successful accomplishment of our Double Anniversary Year in 2014, we gratefully acknowledge the contributions and donations, in funds and in kind, by all our Donors, Officers, Associates, Volunteers, and Participants. We welcome our new Associates, with admiration and esteem. Responses to the Appeal Letter December 2014 continue to add support, equipment, and encouragement for our progress. We give thanks for all these contributions! We continue to upgrade this new website, advance our photographic projects (as reported, for example, here, prepare our Sessions, Business Meeting, and Reception at the 2015 International Congress on Medieval Studies in May, and plan further activities. With the successful completion of the 2015 Congress and its Report, we advance with the preparations for the 2016 Congress, from the proposals for sessions and the Call for Papers, to the process of shaping the Program for our events there. In March, in conjunction with the Annual Meeting of the Medieval Academy of America (at the University of Notre Dame), for the first time we presented a Report of our Activities accomplished for 2014 and planned for 2015 at the Annual Meeting of CARA, the Medieval Academy’s Committee on Centers and Regional Associations. We are glad to join this organization, and express thanks that such participation may now occur without a membership fee, in the outreach to individuals and institutions alike “who wish to support and enhance medieval studies”. Our website continues to receive updates and improvements, illustrations included. We thank the donors of images reproduced on the site and the permission of individuals to reproduce photographs which show them at our activities, as here and here. 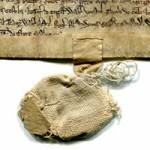 More materials have been transferred from our old site (manuscriptevidence.org/data/), with updates as appropriate. The Abstracts of Papers for our Congress Sessions (posted for most of the Papers from 2007 onwards) can be found not only, as before, through the posts for each year’s Congress activities, but also through the Lists of Abstracts By Author and By Year. A newer development indexes the Abstracts of Papers for Events other than those Congresses. Our copyright high-quality, multi-lingual digital font Bembino continues to receive requests for added elements. Additions for the next version are in preparation. 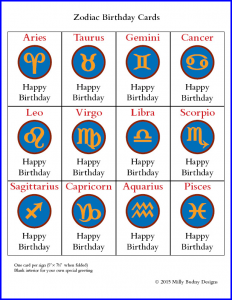 Since our launch of Version 1.2 last summer (see below), Version 1.3, launched in May 2015, contains the zodiac signs, planetary symbols, and most of the astrological signs. For the next version (in progress), we are responding to requests for runes, in whichever alphabets might be required, as well as some other elements. 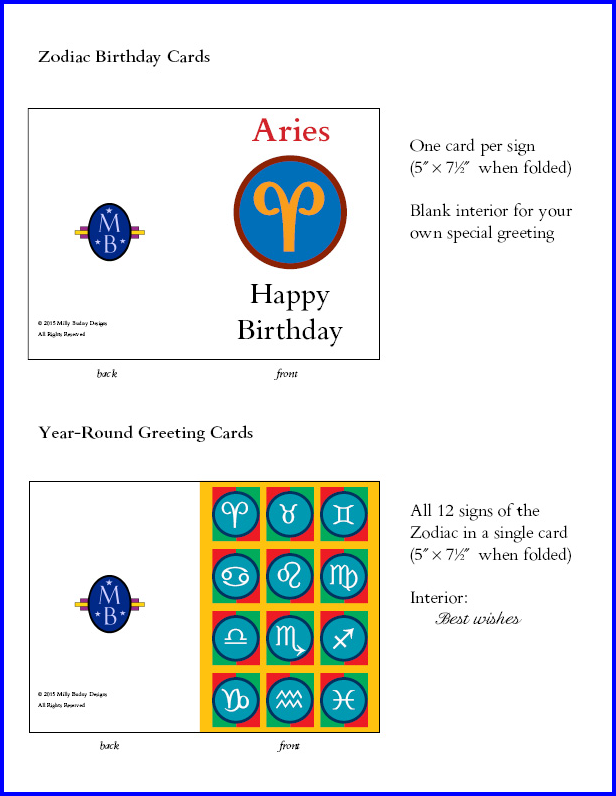 Birthday Cards and year-round Greeting Cards with the Zodiac signs are now available. 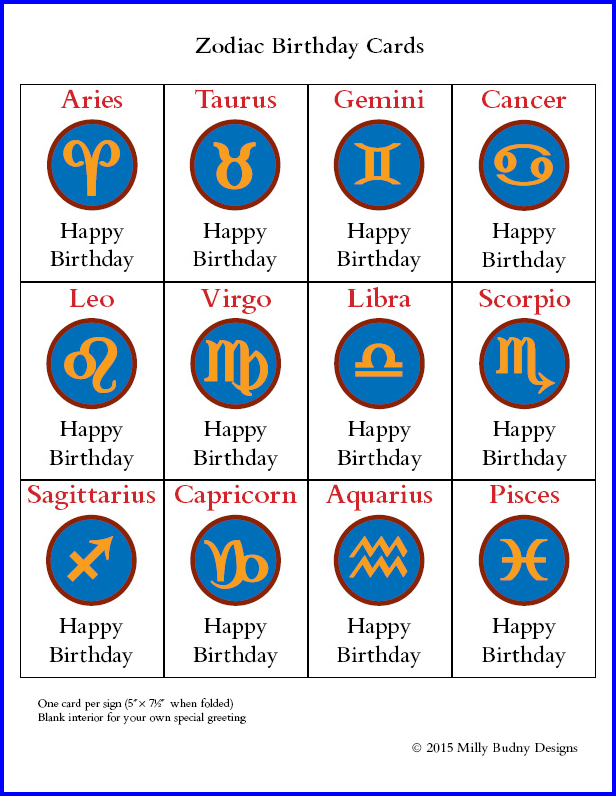 The set of zodiac signs in Bembino were designed by request for them. The cards were designed as a suite for Milly Budny Designs. By arrangement, a portion of the proceeds for the sale of the cards will be donated to the Research Group on Manuscript Evidence. Information about ordering them can be found on their Zodiac Cards Form for the Research Group. Also, you might contact director@manuscriptevidence.org. Beginning in April 2015, a series of blogposts is devoted to ‘Manuscript Studies’. An announcement of this series, with a list of its early posts, appears in the September 2015 issue of the newsletter Manuscripts On My Mind, page 15. As the posts accumulated, the blog acquired a Contents List, guided by categories of materials. Our Facebook Page continues its activities, attracting more Friends regularly. Please join our discussions there and leave your Comments here. You could also subscribe to our RGMEnewsletter ShelfMarks and receive information about our activities here. We hope to hear from you. There are many ways to aid our mission and participate in our activities. Please help us with your Contributions & Donations. The Research Group on Manuscript Evidence (RGME) celebrates an Anniversary Year in 2014. We mark the accomplishment of 15 years as a nonprofit educational organization based in Princeton, New Jersey, and 25 years as an international scholarly society founded as part of a major research project at the Parker Library of Corpus Christi College in the University of Cambridge. In preparing for this anniversary and planning a series of celebratory events, the Honorary Trustees of the RGME met in December 2013. We began the Anniversary Celebrations with an Anniversary Appeal Letter December 2013, signed by Giles Constable and James Marrow, describing the progress of the RGME, the aims for the landmark anniversary year, and ways in which individuals and institutions may contribute, in funds and in kind, to the mission and activities of the RGME. This Anniversary Appeal Letter December 2013 is accompanied by a Donation Form. Our Contributions & Donations Page gives more information, with choices for donations in kind, expertise, funds, named funds, and sponsorships. We welcome your participation, as you wish. Our newly redesigned and upgraded website emerged in 2014, placed online in an interim phase, alongside our old site. It offers the scope for images and other enhanced forms of publication reporting and recording our activities, and it incorporates our own copyright font Bembino. The continuing work to improve that font advanced in 2014, with the issue of its Version 1.2 in the summer of 2014. This version is available for FREE, here: Bembino. 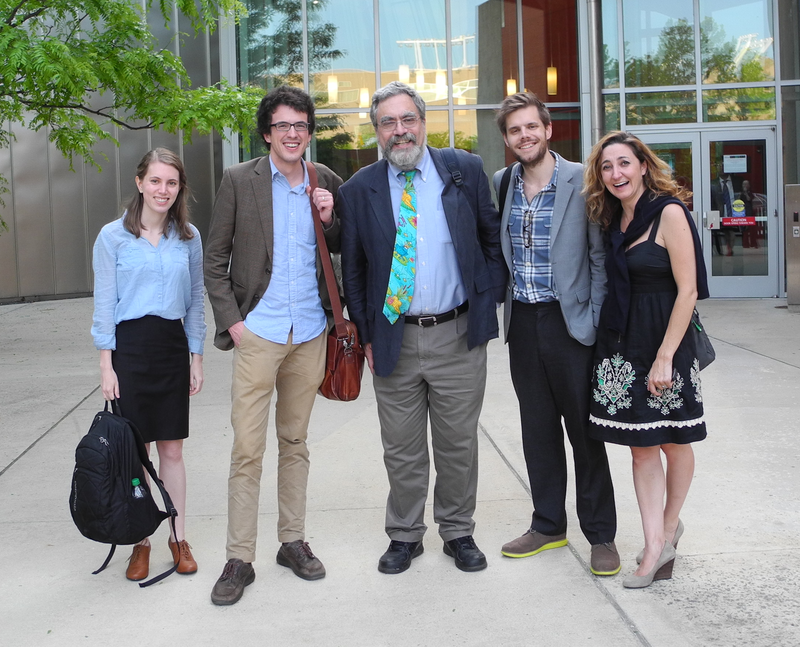 Our activities at the 49th International Congress on Medieval Studies in May included 5 sponsored and co-sponsored Sessions as well as an Anniversary Reception. 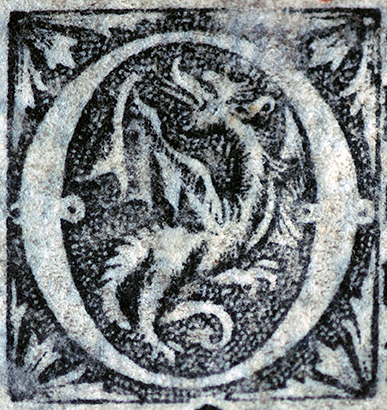 The Sponsored Sessions considered an extended range of subjects in our customary series on “Medieval Writing Materials” (Year 4), with a focus this time on “Surfaces, ‘Fixtures’, and Enclosures”, as well as a new departure on a long-standing theme: (“Individual Style or House Style? Assessing Scribal Contributions, Artistic Production, and Creative Achievement”). The Co-Sponsored Sessions both continued our long-time co-sponsorship with the Societas Magica in a consideration of “Visualizing Learned and Popular Magic through Talismans, Images, and Objects”, and began a new co-sponsorship with the Center for Medieval and Early Modern Studies at the University of Florida in a pair of sessions on “A Neglected Empire: Bulgaria between the Late Twelfth and Late Fourteenth Centuries” Parts I & II). The strength of response to the Call for Papers for that subject allowed for permission to hold not one, as originally allotted, but two sessions on the “Neglected Empire”. The Anniversary Reception for both the Societas Magica and the Research Group celebrated our organizations’ anniversaries in a landmark year. Next, a 2-day Symposium in May at Princeton University considered “Recollections of the Past: Editorial & Artistic Workshops from Late Antiquity to Early Modernity and Beyond”. Its Program and the Abstracts of the Papers are available here: Symposium 2014 Program & Abstracts. Then, a Colloquium in November at Princeton University considered “When the Dust Has Settled, Or, When Good Scholars Go Back”. The first issue of our RGME Newsletter ShelfMarks appeared in Autumn 2014: ShelfMarks, Volume 1, Number 1 (PDF). You might subscribe here. 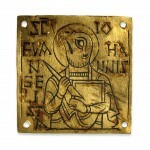 A Seminar in December at the Index of Christian Art offered a “Show & Tell” Demonstration of “Manuscripts & Their Photographs”, with selections of different materials and their detailed photography in different lights, conditions, and angles, with telling results. 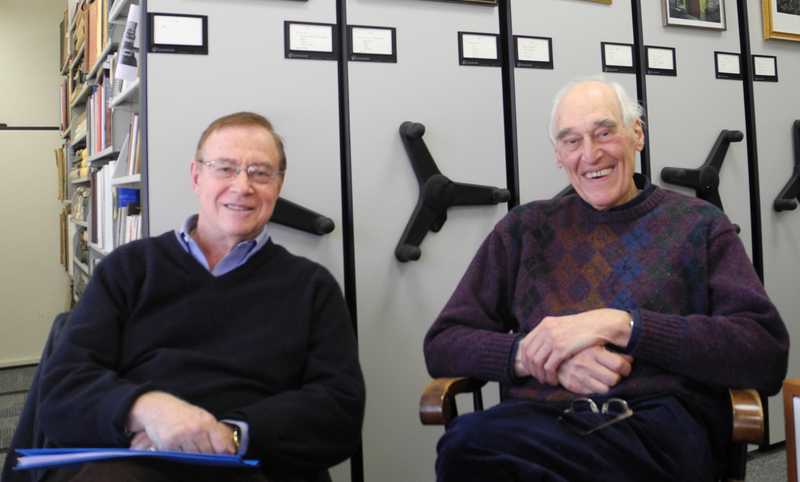 To round out the Anniversary Year’s events, in December the Princeton Trustees of the Research Group on Manuscript Evidence held a Trustees’ Meeting. We surveyed our Anniversary Year’s accomplishments. It was a stellar year! We accomplished a wide range of activities, aided by contributions of many kinds. Keen to build upon this momentum, we addressed the plans, building upon them, for the next stages in 2015 and beyond. In their Appeal Letter December 2014, the Princeton Trustees record the progress of our activities through our 2014 Anniversary and the preparations for the future, as they ask for your help, in funds and in kind. 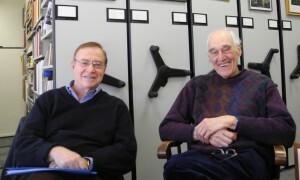 Donations may be tax-deductible, as the Research Group is a nonprofit organization. Moreover, because most of our work, including the running of the organization, fund-raising, and organizing our activities, is accomplished by volunteers, your donations principally foster the activities themselves, not some bulky infrastructure. This ability, among others, makes for a special opportunity in the educational world. As we look toward the future, we celebrate the many contributions over the years which have sustained and extended our activities. We hope that you will join us. There are many ways to aid our mission and participate in our activities, and we welcome your participation. Please help us with your Contributions & Donations. We plan further activities. Please watch this space.